Additionally there is significant improvements in insulin resistance and blood pressure. The US study recruited 240 individuals with metabolic syndrome (also known as insulin resistance in Australia) over 12 months who were than divided into 2 groups. One group was put on the American Heart Association diet (maximising fruit and vegetable intake, minimising sugar, salt and alcohol) while the second group was told to increase their fibre intake via fruit, vegetables and wholegrains, to 30 grams per day. Both groups were instructed not to alter their exercise regime. Over a 12 month period weight, blood pressure, blood sugar and inflammation levels were monitored for both groups. This one change makes it ‘do-able’ for people who have difficulty in maintaining a number of dietary improvements. It’s all very well to say increase your fibre intake to 30 grams per day but how exactly can we achieve this? Here are some easy modifications you can make to your daily nutrition to come closer to that ‘magic 30’. Leave the skin on fruits and vegetables. Eat more beans and legumes. Replace fruit and vegetable juice with fruit and vegetables. Less processed food is far better i.e. make it fresh! Add crushed bran cereal or unprocessed wheat bran to casseroles, salads, cooked vegetables, and baked products (meatloaf, breads, muffins, casseroles, cakes, cookies). Alternatively, find ways to work in ground flax seeds or coconut flour, both of which are very good sources of fibre. Add a dessertspoon to cereal, smoothie or yoghurt each morning. Remember to add fibre to your diet slowly. 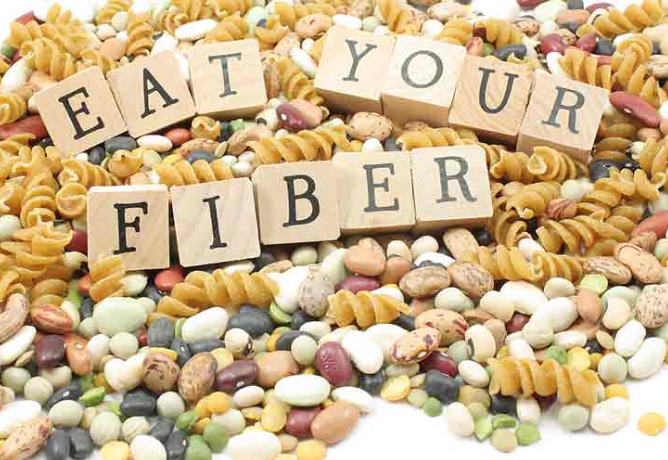 If you are currently getting 10 grams of fibre a day, don’t jump to 30 grams of fibre the next day. 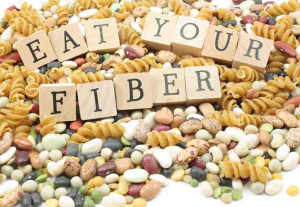 You need to give the natural bacteria in your digestive system time to adapt to your new fibre intake. People who have Irritable Bowel Syndrome (IBS) will need to proceed with caution as an increase in fibre could exacerbate the condition. It’s certainly great to note that one of many positive ‘side effects’ of increasing high-fibre foods is there is less room for higher calorie, lower nutrient foods, assisting in the weight loss process. Fibre really is your number 1 weight loss weapon! What If You Could Predict a Heart Attack and Slash the Risk of Stroke? Lower Blood Pressure with Probiotics?